Palm PR has been appointed by celebrity chef Aldo Zilli to launch the PR campaign for his new range of organic baby food. The Baby Zilli range, run by Zilli and his business partner, entrepreneur Dean Dunham, includes eight dishes for babies. Flavours include Pasta Pomodoro, Zilli Fishy Dishy and Fruit and Veg Puree. 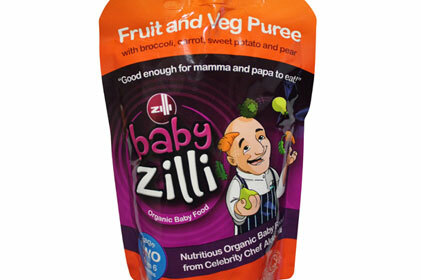 Zilli is the first celebrity chef to launch a food range specifically for infants. The range has just started distribution through Tesco, Waitrose and Ocado, with many more outlets planned. Palm PR is a luxury lifestyle agency based in Soho, which specialises in creating integrated brand campaigns and working on everything from high-profile consumer accounts to hotel, spa, restaurant, bar and event clients. The agency also handles Zilli's personal PR and the publicity for both his restaurants, Zilli Fish and Zilli Green.